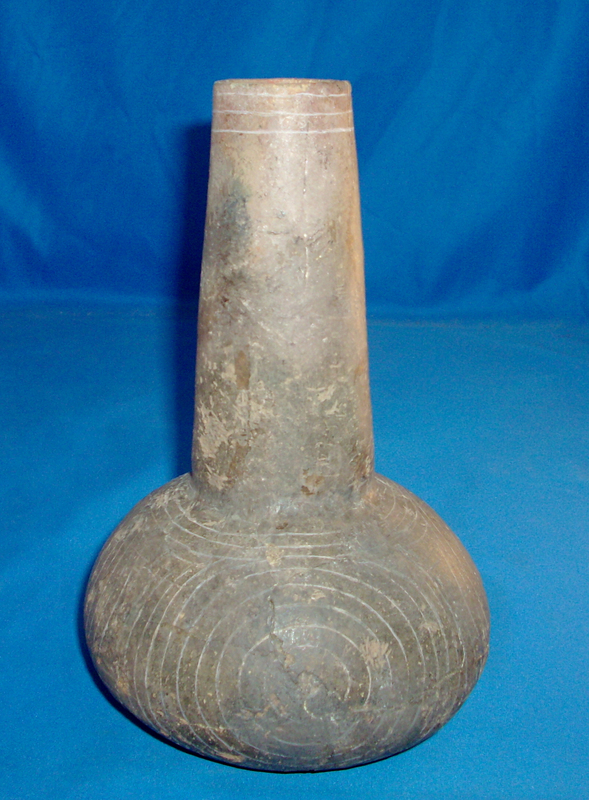 A Large Size, Well Made, Caddo Holy Fine Engraved Waterbottle That Exhibits Surface Sheen And Aging Coloration Patina, Visible Ground Rodent Aged Markings, Aged Bottom Use Wear, Visible Aged Early Type Surface Grog, Correct Shape And Style For Type, Correct Material And Manufacture For The Area Found. Found By Glen Kizza, On The Crenshaw Site In Miller County Arkansas. Ex-Glen Kizza, Sam Johnson, Ken Partain, Kevin Pipes, George Heckman (G807), Jack Bonds Collections. Includes A Ken Partain Certificate Of Authenticity!